JAKARTA, Indonesia - Nearly 1,000 residents have fled two villages near an Indonesian volcano that has been erupting this week and has a history of violent explosions. Disaster management official Warsito said 977 people from Kaskasen and Kinilow villages evacuated Tuesday to a school in the district town of Tomohon. 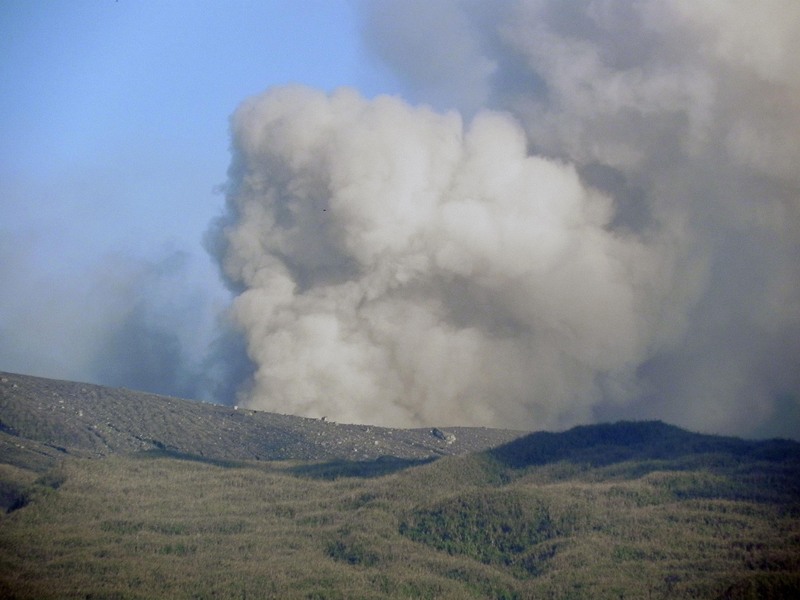 Mount Lokon has been at the highest alert level since Sunday and has had small eruptions daily. People were urged to stay up to 2.2 miles (3.5 kilometers) away from the 5,741-foot (1,750-meter) volcano. The mountain in north Sulawesi province is one of about 129 active volcanos in Indonesia, which is located on the Pacific "Ring of Fire," an arc of volcanos and fault lines encircling the Pacific Basin.